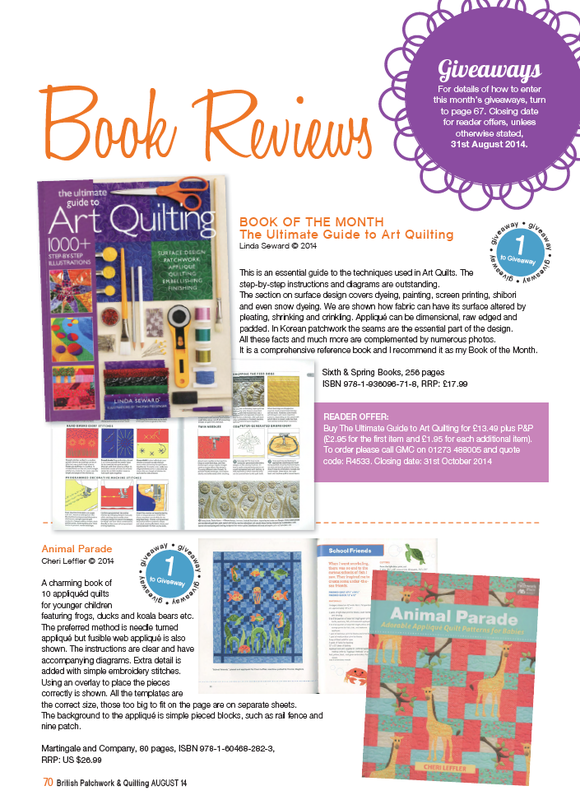 The Ultimate Guide to Art Quilting was published by Sixth&Spring Books, New York, in late Spring 2014 in the USA. 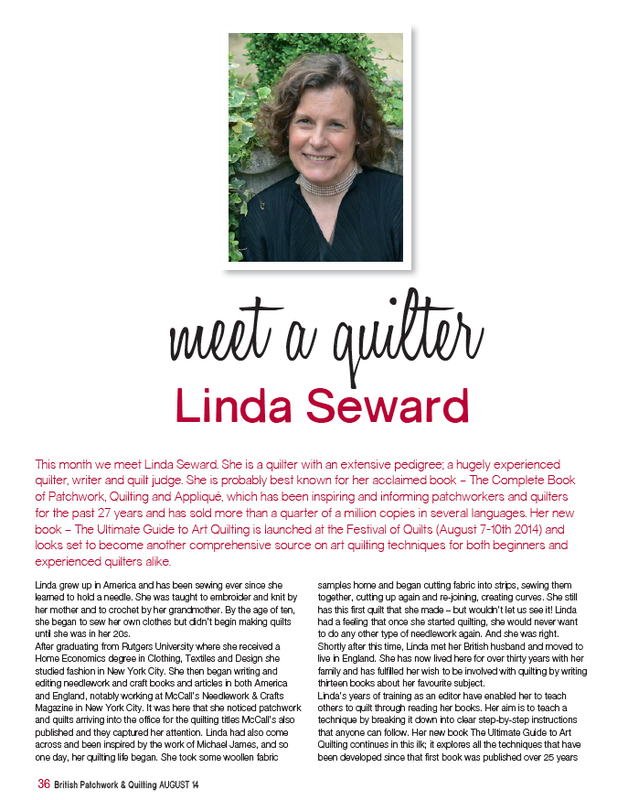 It was launched in the UK at the Festival of Quilts in Birmingham in August of the same year. 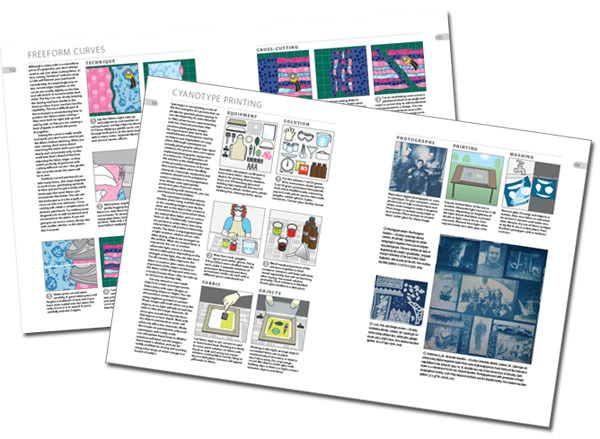 This step-by-step guide follows on from my book, The Complete Book of Patchwork, Quilting & Appliqué, and includes all the techniques that have been developed since that first book was published over 25 years ago. 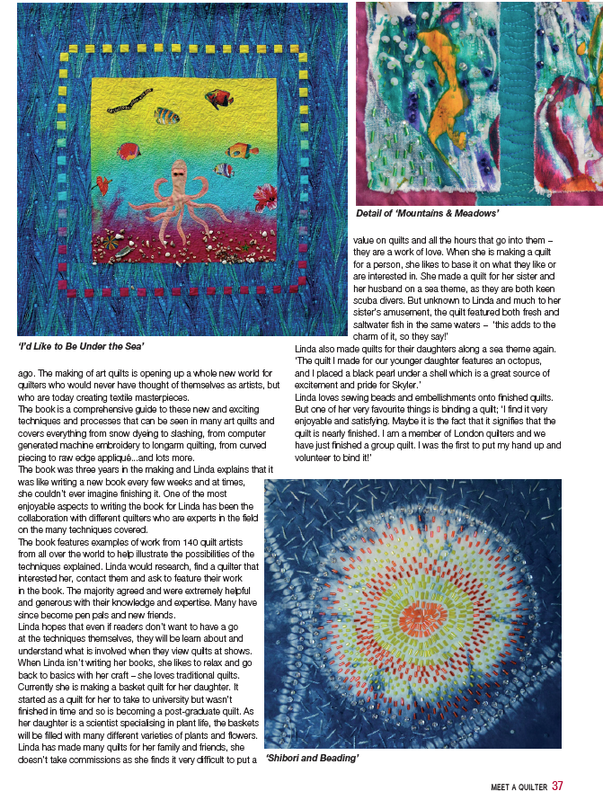 As a bonus, the book features specially selected work from 140 quilt artists from all over the world. Illustrated in full color by Tom Messenger, The Ultimate Guide to Art Quilting covers everything from snow dyeing to slashing, from computer generated machine embroidery to longarm quilting, from curved piecing to raw edge appliqué..... and lots more. 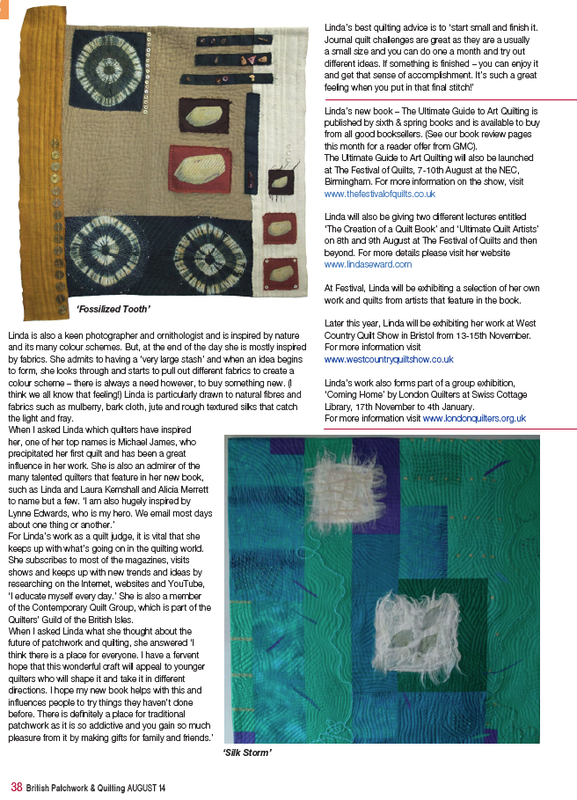 I'm happy to say that my book was book of the month in the August 2014 issue of British Patchwork & Quilting Magazine!